Just checking in to let you know that although this nack.club website hasn’t seen much activity lately, the same is hardly true for NACK the CLUB itself. We just finished up another solid & successful six session winter pool season & are all ready now for the ’18 paddling season. Last Saturday Paul V. & eight others officially kicked off the new season with a nice trip out on the Carmans River in Brookhaven. The pics looked really great. I’m sorry i had to miss this traditional Bald Eagle season-opening event. But our weekly peer practice sessions are starting up next week already, so count me in! The season truly is upon us even though Mother Nature has been seriously slacking in providing us with some appropriate Spring weather! Although for many NACK members the previous season never came to an end & as the Trips Coordinator for the club I was very pleased at the great turnouts we were getting for our late Fall & dead of Winter outings, both official & ‘unofficial’ non-ACA-sanctioned trips. Four March ‘noreasters & this seemingly unending string of 38° mornings have left our waters behind their usual warming schedule but it also gave us some later than usual opportunity for some harbor seal watching. Not sure how the gang out at Moriches a while back did but the four of us who launched @Field 10 while a dozen other NACKers were carving their Greenland paddles at John’s shop saw plenty of seals both in the water & hauled out in all their flabby glory in Haunts Creek. As for the more adventurous among us there were icy coldwater blue moon nite paddles in January & March. And our resident “Small Craft Advisory” ended their surf & tiderace season late & started up earlier than ever in February at Democrat Point christening their 2018 off road beach passes for a 50° day in the 40° waters off of Fire Island. All in all, I’d say this season is shaping up to be one our best yet. 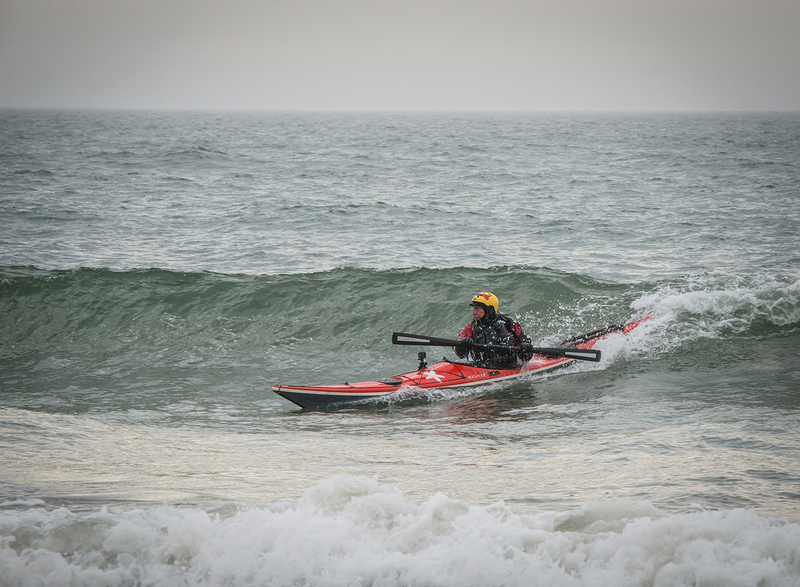 New faces, new skills to test & improve & plenty of unpaddled waters to explore. 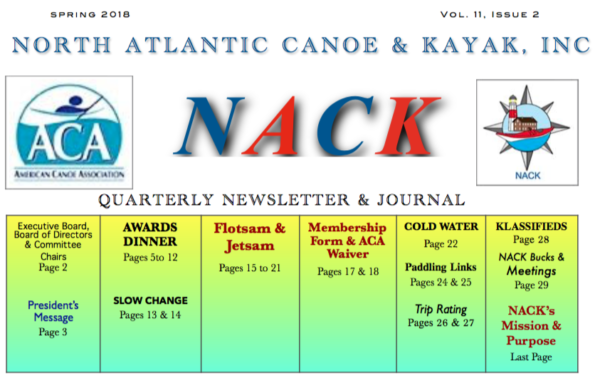 Debbie has a pair of kayak camping trips (one in CT, one in Maine) already planned out so keep an eye out for them upcoming on our NACK Meetup page. If you are currently a NACK member I urge you to sign up right away to our Meetup to get all the info about where & when we are going this season. If you are just visiting & are interested in finding out more, you can find us next Sat & Sun (May 5-6) at the Dinghy Shop in Amityville as we help them out with their ‘demo weekend’ there . if you are new to the sport or are looking to get into a new boat then its a great opportunity to try on the water before you buy. OK thats all I have for now but keep an eye on this space as we will have a lot to share this year… ! “Life’s Short. Start Paddling” -Alan M.